This painting was discovered among American Civil War guns, badges, uniforms and other historic relics. The picture is part of an American Grand Army of the Republic post's history. With the research of American Civil War historians and art historians the painting is being exhibited on-line for the first time. Originally gifted to Grand Army of the Republic Post in 1894 as documented in the post meeting minutes. The painting is a study by Vincent van Gogh after Anton Mauve. 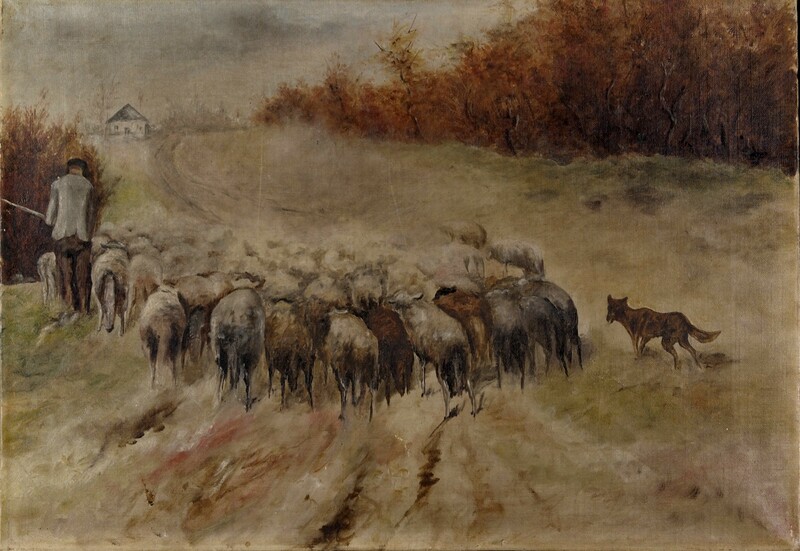 The scene is similar to "Bringing Home the Flock". Mauve was an important influence on Vincent van Gogh's art career.